Anger is a master that demands an outrageously high price. Anger destroys physical and mental health, relationships, self-esteem and dignity. There are many victims. The individual which feels angry, and the unfortunate target on the receiving end of the anger. Both pay a price. To manage anger, individuals often turn to counseling to learn Anger Management Skills. 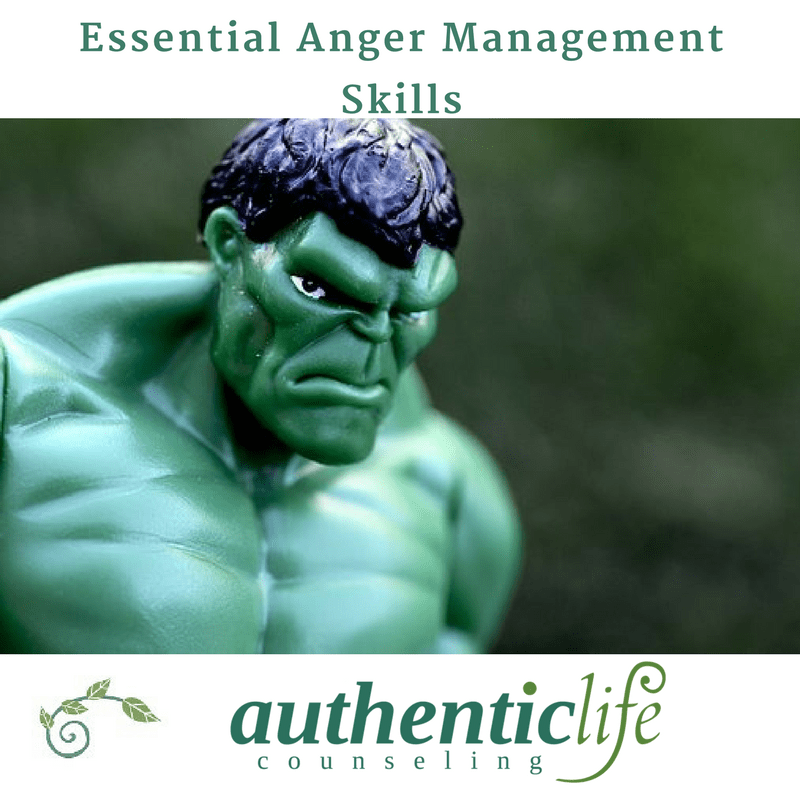 Effective anger management provides tools to address the many dimensions of anger, including the physical, emotional and the mental (cognitive or thinking) aspects. Anger triggers the fight/flight/freeze response in the body which signals an internal state of emergency, and subjects the body to a great deal of stress. To protect ourselves from the (perceived) threat our heart rate and blood pressure increase, breathing becomes faster and we suffer headaches and abdominal pain. Deep Breathing – Take slow, deep breaths. Practice counting as you breath to help anchor the mind and prevent racing thoughts. Notice the in/out – up/down rhythm of your breathing. Feel the sensations of your breath as it moves in and out of your body. Visualization – Use the power of your imagination to experience being in a beautiful, peaceful relaxing place. Bring in as many sensory details as possible as you practice visualization. See, hear, feel and smell details of your imagined experience. This exercise is best practiced when one is in a relatively calm state and will help regulate and normalize the responses of the Central Nervous System. 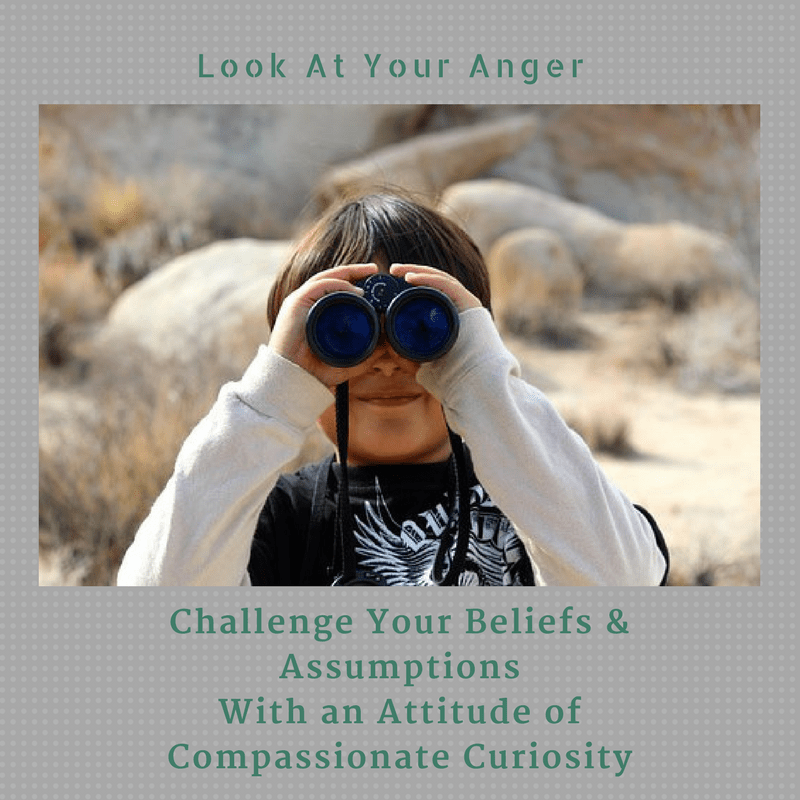 Understand the irrational and intrusive nature of your thoughts with a compassionate curiosity is the attitude to have when learning anger management skills. Be willing to question cognitive anger traps such as mind-reading the intentions of others and the projecting unreasonable demands and expectations into the future. Challenge your beliefs and assumptions with a compassionate curiosity. Anger is an emotion which sees the world through a lens of assumptions. An obvious fact to you may be a fairy-tale to me. Just The Facts – What did you actually see or hear? When we are angry we tend to project beliefs, opinions and assumption on to the triggering event. Stick to the facts. Find a trusted friend or family member who witnessed the triggering event and ask them to help collaborate and distinguish facts from fiction. What Are Your Assumptions? – You are likely assuming a rule been broken. The problem is that the rule may only be known to you. Or perhaps you are assuming that everyone should subscribe to your rules. Your rules are valid in your mind, but possibly not mine. Are you basing your assumptions on historical events, and assuming history will repeat itself? Do you mind read the intentions of the person you are mad at? Do you really have a working crystal ball? If the answer is no, stop mind reading. You are on you way to using anger management skills effectively when you begin to see your assumptions. Evaluate what your angry mind is telling you to do before acting in its behalf. When we speak, act or respond with anger, you are acting in behalf of your lower (or lowest) self. Things are broken when the “lowest self” is in control. Important things like our relationships, self-esteem, and dignity are diminished. Change the Response – To change a conditioned response or behavior, we must be motivated and “buy-in” to the need for change. If we have buy-in, the cost of “doing the work” is worth the price of the effort and the discomfort we are surely going to face to change the pattern. Buy-in is fortified by recognizing the cost of our anger. What Will Be Broken By Your Actions? – Your angry mind does not act on your behalf or on behalf of the future. Like a little child, your anger acts on behalf of immediate impulsive reactions. Responses are more extreme than they need to be when angry. They are over the top. If you act on the impulse to go over the top, what will your break? Your job, your wife, your child’s self-esteem. Evaluate the cost. What Has Anger Broken In The Past – As a counselor, I am still touched and saddened to see the high price of anger. Investigate the cost you have paid. Look at the physical, emotional, relational, and financial cost with compassionate curiosity. When anger becomes a problem, the emotional, behavioral and thinking patterns that have sustained it, have been reinforced for a period of time. Be patient, because it will take time and energy to learn new responses. Recognize Successes – Be reasonable. Rage-alcoholics, by nature are not reasonable. See even slight changes as successes. Perhaps you remembered to practice self-soothing skills or asked for clarification before making an assumption. Know and feel these small wins. Practice Strategies – Transforming anger takes time and patience. Anger management skills are effective in changing emotional, behavioral and cognitive patterns from one of anger and rage to peace and joy. But it does take practice. Be compassionate with yourself as you practice.